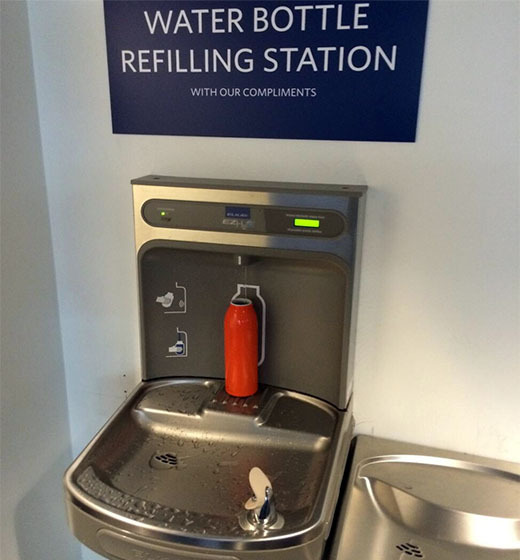 We've already seen a water bottle that adapts to drinking fountains, but this one seen by Mark Hurst goes the other way around: an airport drinking fountain adapted into a water bottle refilling station. 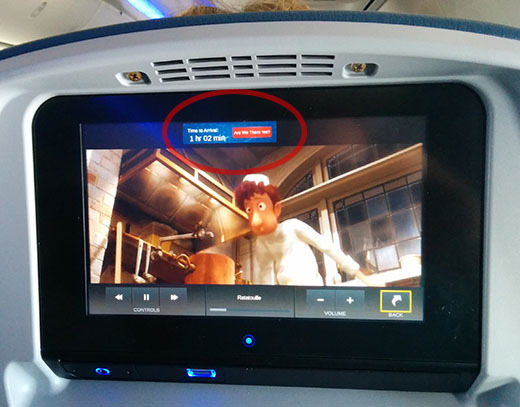 (This one's from Delta, which has impressed me recently with usable design.) It's an overdue solution, especially in airports where you can't bring your own water through security - just bring your empty reusable bottle and refill it, instead of supporting the scourge that is commercial bottled water. Refreshing in more ways than one! Fuut: While you work, your feet can relax! If there's one thing wrong with most workspaces, it's that there's not enough hammock in'em. 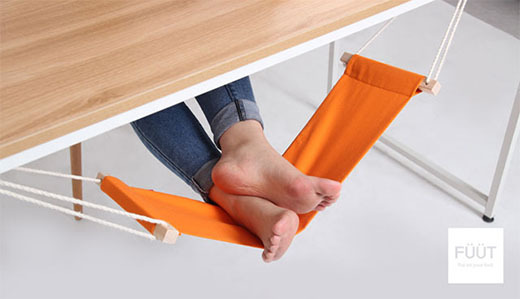 Fix that with Fuut, the hammock for your feet for your desk. 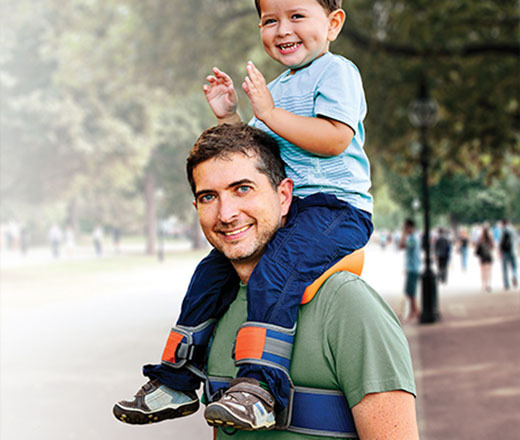 This image alone sold me - and if that's not enough, it's adjustable for low ("work") and high ("rest") positions. Working barefoot is just a bonus! I recently stayed in a Marriott in Shanghai, where the light switches practically begged for some commentary. The good: text labels so I can actually tell what's going to happen when I flip a switch! The bad: it's still not natural mapping, which could have made it intuitive without resorting to labels. The ugly: the sticker on the Do Not Disturb button trying to tell you which way is on, but still not even being clear about it; plus, the "For Power Only" key card which defeats the power-saving function of using your actual room key. Still, I'll take this setup over Phoenix's mystery buttons!